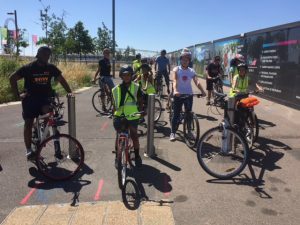 On the 17 June a goodly crew started off a Newham Ride. 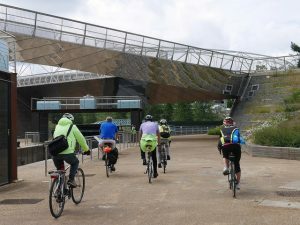 from the View Tube. 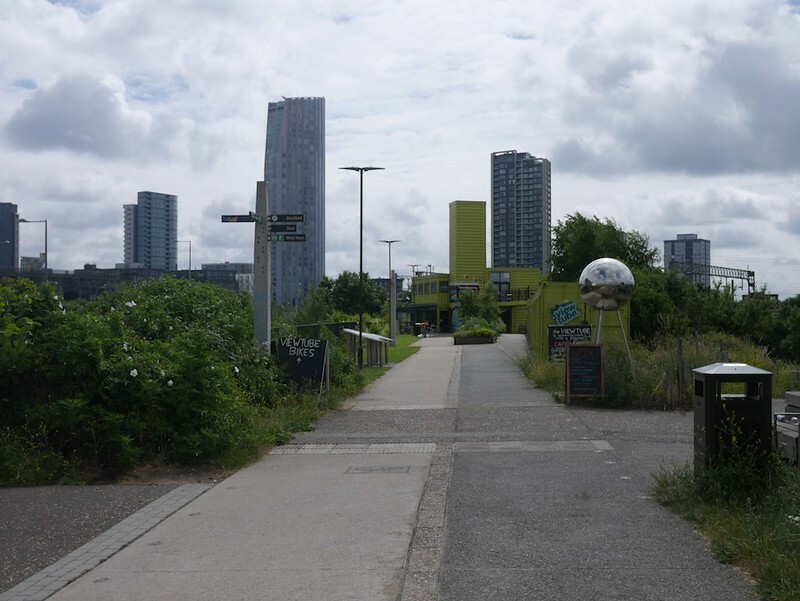 The unusual feature was that it was anti-clockwise, starting with a run down the Greenway to Beckton. 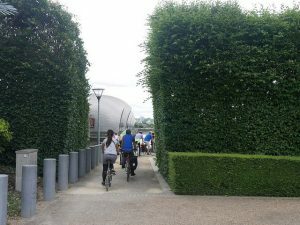 Then to the Royal Docks via Thames Barrier Park and finishing with a run up the Lea Valley. This way round was intended to maximise coffee stop opportunities and the best times. 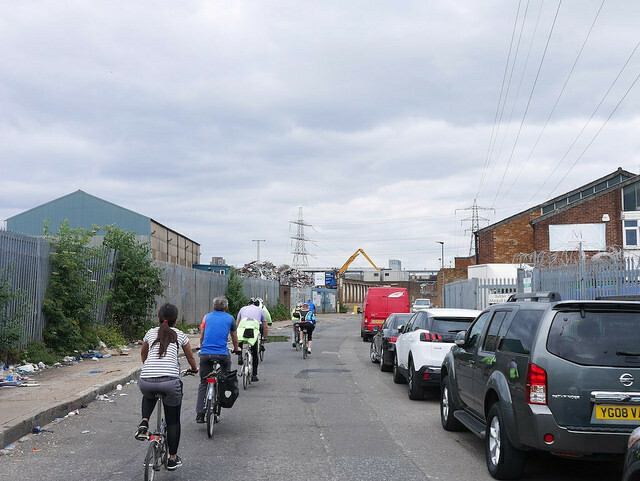 Once again it proved how the borough is ever changing. 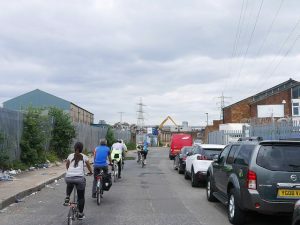 Much is new and changing but ther are remnants of post-industial. 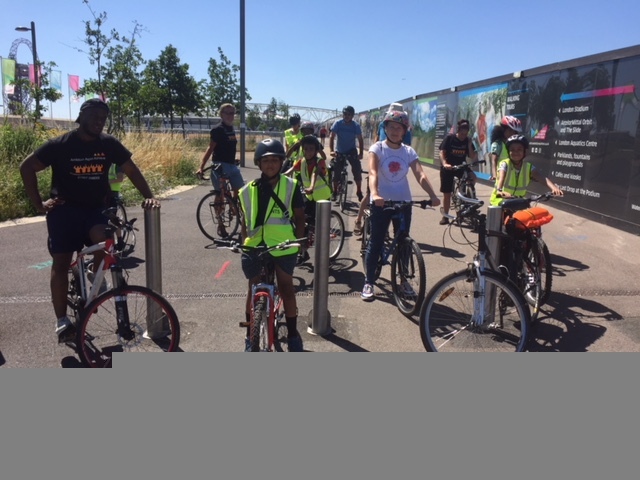 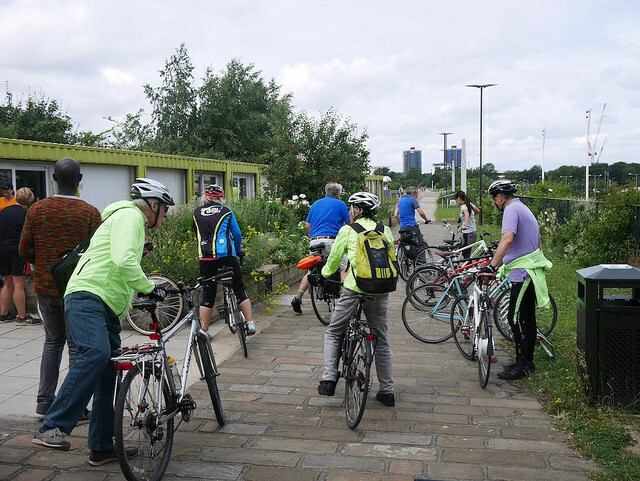 On 30 June we led 6 children from the Ambition, Aspire, Achieve Saturday Cycling Club for a ride along the Greenway and around the Olympic Park. 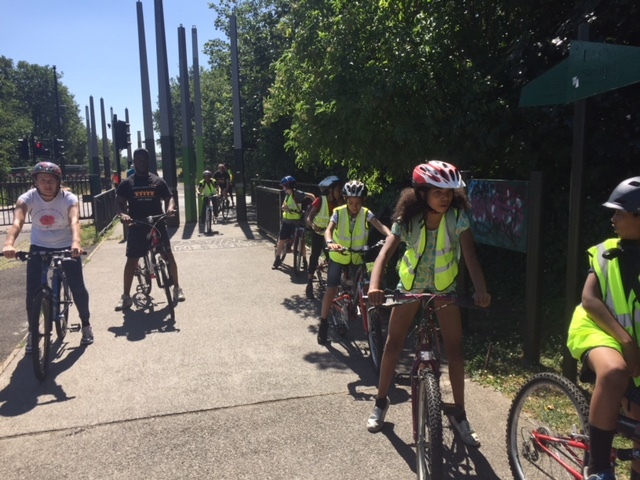 A run of 7-8 miles which went a long way to improving their cycle skills. They did brilliantly in the heat. So a good trip for them and a well spent morning for us.